Thank you for considering Esquire Property Management for your Ventura property management needs. Esquire is fully staffed with experienced and talented managers and staff from our dispatcher to our property managers. 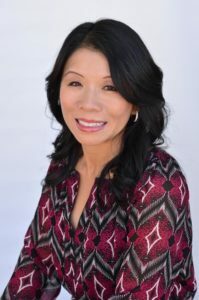 Tracy Guillen, our broker, has built a dream team with many years of experience providing Ventura County property management services to real estate investors in Ventura County. Whether you own a single condo, an executive home, or a 75 unit apartment complex, we can help. Our agents are versed management, buyer’s agent’s to purchase new rental acquisitions, 1031 Tax Deferred Exchanges, Sales, etc. We are a full service Real Estate Brokerage. However, we don’t offer financing, loans, and we outsource to outside contractors not affiliated with our company. At Esquire Property Management, we value our tenants and strive to build a positive relationship starting our tenants right from the start. We came up with our Risk Free Application Process which has been received enthusiastically by prospective tenants. We have a large selection of homes to choose from and we have a foundation of technology which offers convenience to our tenants from online applications, online maintenance requests, 24-hour maintenance hotline, brick and mortar office where we aspire to answer every phone call. Meet Tracy Lu Guillen, Esq.